The amazing guide on how to disable automatic restart windows tips and tricks. Windows are programmed by default to restart immediately after a major error, like one that causes a Blue Screen of Death. This reboot happens too fast to record the error message for use in troubleshooting. "Automatically Restart if the event of the blue screen" option switched on, the system would restart and the blue screen disappear too quickly for you to read. Most of the technicians will just go into Safe Mode and switch that off, but what if you can't get into Safe Mode? What happens if the option to "Disable Automatic Restart" doesn't show in the F8 menu either? If this would happen I will give you a way on how to solve it. Fot those of you who aren't familiar with the blue screen of death, It is a screen that shows up when Windows has a critical failure. If has messages of what went wrong with the computer and can greatly help the technician to figure out what is causing the problem. This is how to disable automatic restart windows on your PC. 1. Right click on button of "My Computer" and go to "Properties". Then Go to the "Advanced" tab and under the headline "Startup and Recovery", press the "settings" button. Unclick the "Automatically Restart" box and then you press OK. However, Safe Mode won't start either. In most cases if you press the F8 a BSOD crash will appear and you will have the option "Disable Automatic Restart". And if you're getting it either, here is another way to turn off Automatic Restart. But this step is only good for technicians. 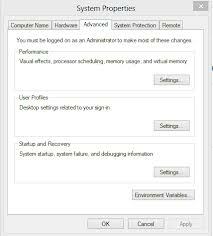 You must be knowledgeable enough to follow these disable automatic restart windows steps. 1. If you don't have it already, download a UBCD4Win using one of the mirrors. To run it, you must creat an ISO and burn it to a CD. 2. Once the CD has been burned, go to the BIOS and make sure your CD-Rom is set as to the first boot service. Start up the computer with UBCD4win in the CD-Rom and you will have the same boot options. Choose the "Launch the Ultimate Boot CD for windows" options. This may take a few minutes to load fully, when loaded you will find a Windows XP like interface . 5. It will then ask you to "Select User Profile". Choose the main user account. It may be "Administrator" or some other usernames. 6. Now you should see a window name "registry editor" which is identical to the usual "reedit" under the windows. Navigate to the following key HKEY_LOCAL_MACHINE/SYSTEM/ControlSet001/Control/Crash Control. 7. In here you will find a key named "AutoReboot". Double click on it to edit the DWORD Value and under "Value Date": its current value must be 1, which means that the AutoReboot is being turned on. Then press OK. If you change it to 0 it means it is turned off. 8. Restart the machine and try to boot into a Normal Windows Mode. You should see the blue screen of death. Write down the "STOP" number and the error message.